When you order our carpet cleaning, you receive service from a company with a wealth of experience and knowledge about the provided serviced requested! We serve all of the Washington D.C / DMV area and have provided high quality cleaning services to many clients in the area over the years. DC Carpet Cleaning handles each job with great attention and care to process. With every job you will get the best professional advice on the severity of the job, the variety of possible cleaning methods and the possibilities for a positive outcome. 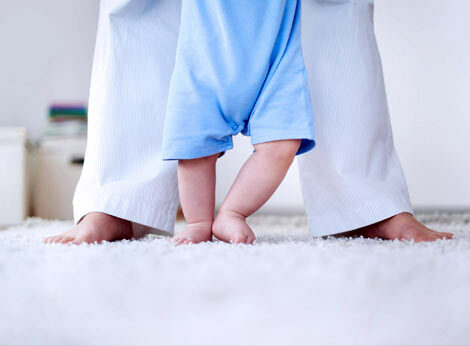 At DC Carpet Cleaning, our goal is to keep your homes' carpets looking new and extending the life with proper care. For heavily trafficked areas and very soiled carpet, we can offer our restoration cleaning package, which will deep clean and revitalize your carpet! To keep your carpets looking their best, consider calling on us for annual or bi-annual wall-to-wall deep cleaning! Whatever it takes to keep your home carpet looking fresh and new, we can make it happen! "Very friendly crew that took their time. They were honest about what I could expect with my old, worn carpets. They didn't pretend it would be perfect but they did everything they possibly could!" - Maxine H.
A carpet is a long-term investment for your home. While regular vacuuming is essential, it’s not enough to keep your carpet clean over time. Having your carpet professionally cleaned on a regular basis will not only remove dirt, dust, soil and germs, it will ultimately help to extend the overall life of your carpet, and keep the color vibrant even after many years! We know how delicate and expensive area rugs can be, and that the wrong cleaning method can completely ruin it. We provide professional area rug cleaning services to homeowners, like carpets, area rugs require regular vacuuming but also need professional, gentle cleaning to remove stains, maintain the rug’s appearance, and extend the life of the rug. Stair cleaning is challenging for obvious reasons, the main one being that the dirtiest areas of stairs are the hardest to clean. Add in the Berber and you have what some may refer to as a nightmare of a job. Weeks, even months, can go by without stairs receiving a proper vacuuming, meaning that the soil build up can be extreme. Our mold cleaning service start with finding both the visible and hidden causes of mold, we then begin the mold cleanup by drying the moldy surfaces and disinfecting the damaged areas. An important aspect of mold mildew removal is the proper disposal of contaminated materials to prevent releasing mold particles back into the air.